As we kick off the new year and a new session in Congress, I wanted to take a moment to reflect on our year together and express my heartfelt thank you for the tremendous honor of representing you and the second district of California in Congress. This year has been one of unprecedented public engagement, an important show of civic participation in an uncertain time. Your emails, phone calls, faxes, and letters to my California and D.C. offices have numbered in the thousands every week, and I thank you for those hundreds of thousands of people who contacted me this year. I hope that you will continue sharing your opinions and concerns with me as we begin the second session of the 115th Congress this month. 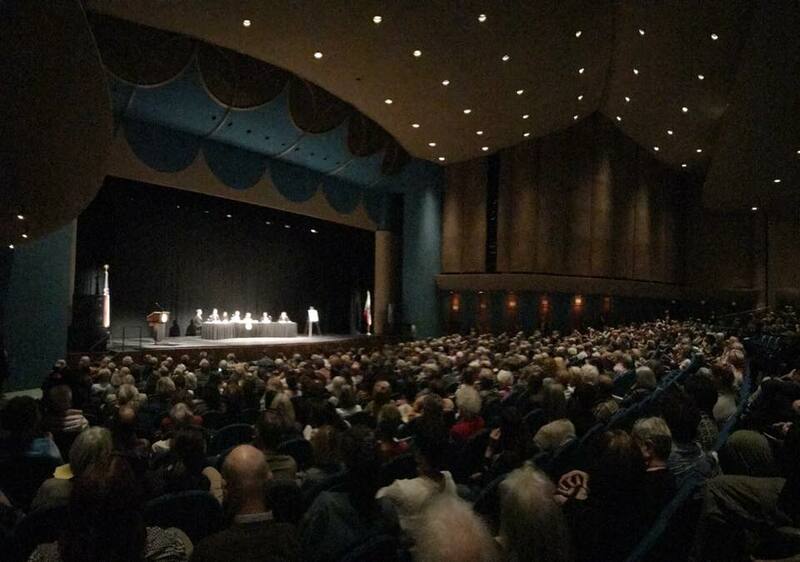 At more than twenty-five public town halls and events up and down the North Coast last year, you joined me to talk about topics ranging from improving access to health care, to protecting the California coast from drilling, to fairness for people who were brought across the border as children. Many of you also gave me your input at specific forums, such as those focused on my legislative proposal to protect some of the North Coast's most spectacular wild places and rivers while restoring degraded lands and stimulating the economy. In a year full of challenges, I worked with my colleagues to stand firm against White House overreach, and to introduce new legislation that advances the values that we share. That work includes the 100 by '50 Act, which puts forward a comprehensive plan to bring the United States to 100 percent renewable energy by the year 2050, and the West Coast Ocean Protection Act, to block the Trump administration from opening the coasts of California, Oregon, and Washington to oil drilling. I’ve been proud to join the broader Marin community in advocating for our immigrant neighbors when they need our help, including Hugo Mejia, an upstanding resident of Marin—exactly the type of person that Donald Trump promised he would not target for a summary deportation—who was held for six months in ICE detention. I have also worked to improve policy in other areas. I was pleased to invite Connie Stewart, the Executive Director at Humboldt State's California Center for Rural Policy, to testify at a hearing in May that led to the committee approval of my bill to expand broadband opportunities in rural communities. I also introduced the Local and Independent Television Protection Act this year, a new bill to close a loophole in FCC policy so that we can block dangerous corporate media consolidation across the country. In Sonoma and Mendocino, we came through one of the worst fires in our state's history. We are so grateful to the first responders who came from across the area (many of whom lost their own homes), and from across the country to save lives, homes, and businesses. I have also been heartened by the neighbors and community partners who pitched in and are continuing to support each other. I will continue to work in Congress to deliver the aid that is needed, and to improve federal support for future disasters. This past year, I had the opportunity to visit more than a dozen schools across the district, where I was constantly inspired and energized by the intelligence and curiosity of the students. It’s because of the energy of this next generation of Californians, and the engagement that you all have shown this year, that we have made as much progress as we have in this difficult political climate. In the coming year, please remember if you ever need help with a federal agency, please contact my San Rafael office at (415) 258-9657. If you would like to keep up with what I am doing as your representative, please subscribe to my newsletter here, and follow me on Facebook and Twitter. I also invite you to subscribe to my podcast, “Off the Cuff with Rep. Huffman,” so that you can engage with our in-depth conversations about what's happening in California and in Washington, D.C. Over the past year, I've had the opportunity to have a lot of interesting policy discussions with special guests from fellow members of Congress to wildlife conservationist Jeff Corwin to local leaders- and I got to take some of your questions! Please listen to my latest episode here with KQED's Michael Krasny where we discuss how to protect media independence.